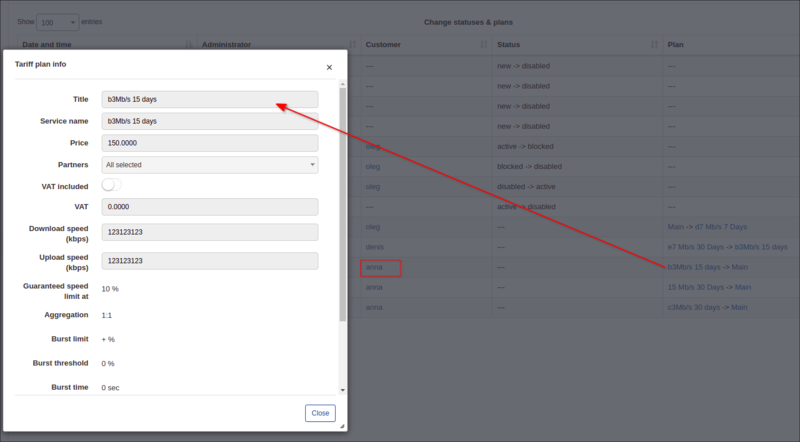 Changes of statuses\plans logs table displays information about all changes of statuses (for example, from new to active, from blocked to active, from active to blocked status etc.) for a particular period of time. Here you can also check administrator's name who changed the status or plan. It is possible to choose to display changes of statuses&plans by particular period of time or by administrator. You can also check the Customer's Information by clicking on his ID in Customer's column and view the Tariff plan information by clicking on it in Plan's Column. With the help of the icon at the bottom left of the table you can print or copy the list of the news or save it in PDF or SCV format. 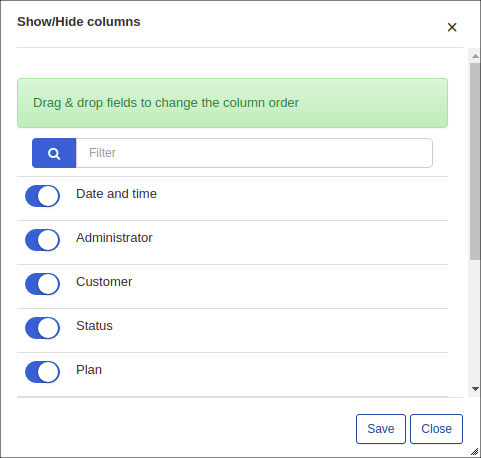 By clicking on icon you will choose columns to be displayed in the table by drag&dropping them.